2. In the dialog that opens select MVC application template.You can select the docker support if required. 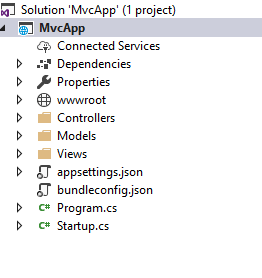 2.After you click “ok” in the above window Visual Studio will create a new MVC Project. 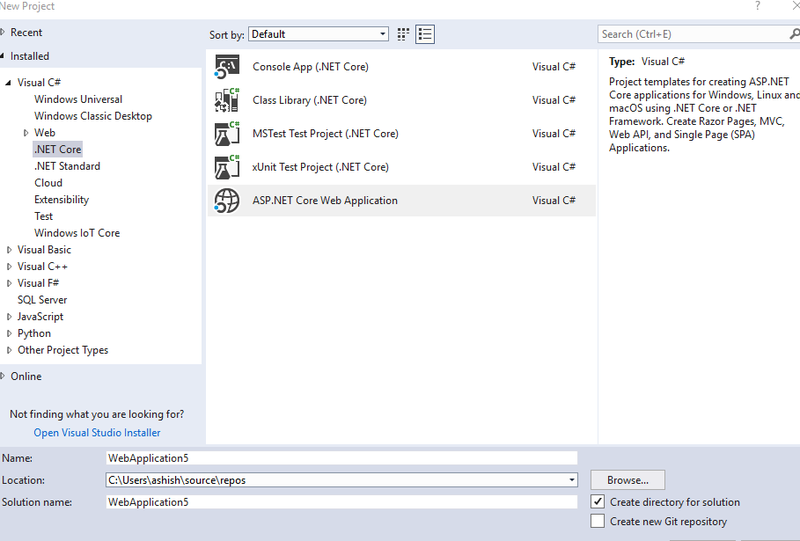 After ASP.NET Core project is created following files and folders are created by default. 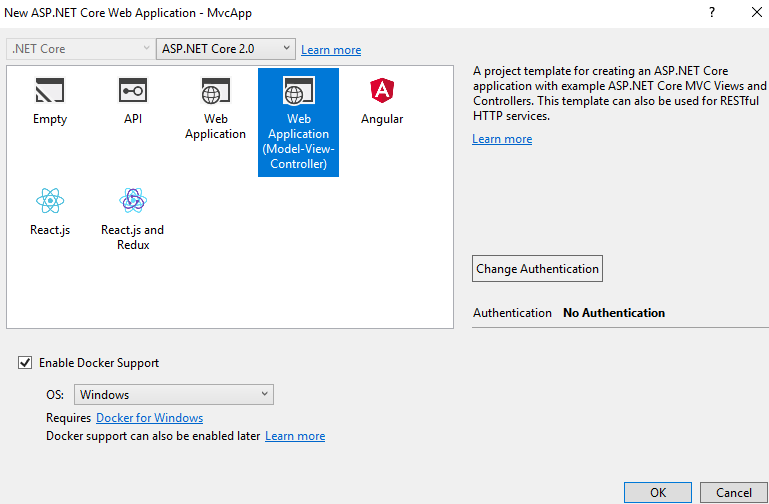 ASP.NET Core application despite being a web application starts as a console application.So there is a Main method in a Program class which is the entry point of ASP.NET Core application.This method uses an instance of IWebHost to run the application.